Many property owners are now opting to handle their heavy-duty tasks rather than hire an expert. This is in a bid to hone different skills, do a better job and save on the expenses of professional help. More often than not, unfortunately, most of these tasks require heavy-duty machines, which might be beyond your financial reach. You also might not have space to store the equipment on your property or the technical know-how on its operation. 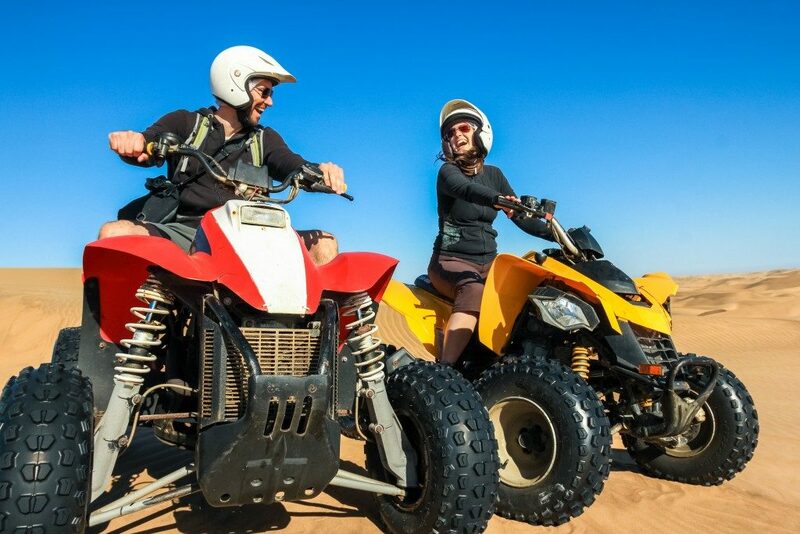 Thankfully, you can get a pre-owned ATV from a Salt Lake City motorsport dealer like Southpaw Motorsports to help you handle these tasks. With the right implements, you can transform the ATV into a workhorse to handle virtually any job on your property. Here are some of these implements. These are the most versatile implements you can pick for your ATV. The winch is typically used to pull your ATV free in case it gets stuck. You can also use it to control a snowplow rather than manually lift the plow, which is tiring and sometimes impossible for large loads. There are different plow options you have for your application. A straight blade is suitable for large spaces while a V-blade suffices for deep snow on small spaces. You can install a hydraulic lift in addition to the plow. Other than snowplowing, a winch will prove useful for moving objects in confined spaces, clearing trails and collecting firewood. Managing the exterior of your property, including the parking lot and yard, can be fun with an ATV and the right implement. You can install a spreader on an ATV to dispense different material including pesticides, and fertilizers for the plant and ice melting materials for snow-capped driveways. The spreader can be mounted to your ATV’s hitch or back rack and comes in varying sizes. Its installation is easy and fast and requires no significant modification to your ATV. Like the spreader, a sprayer is very useful in managing small fields and landscaping plants. The sprayer allows the quick and easy application of fertilizer, herbicides and pesticides to your lawn. You can opt for a sprayer with an attached boom or a hand sprayer for your ATV. The hand sprayer is ideal for spot applications without having to walk around your property. The boom sprayer works best for large areas. Hauling heavy materials can damage vehicles that are not built to handle the loads. An ATV is well suited to handle the haulage of large loads in a tub sled or trailer behind you. Before getting a trailer or tub sled for your ATV ensure you pick one with the ideal weight for it. ATVs used to be a preserve of hobby riders. Nowadays, however, anyone can get an ATV irrespective of his riding experience. 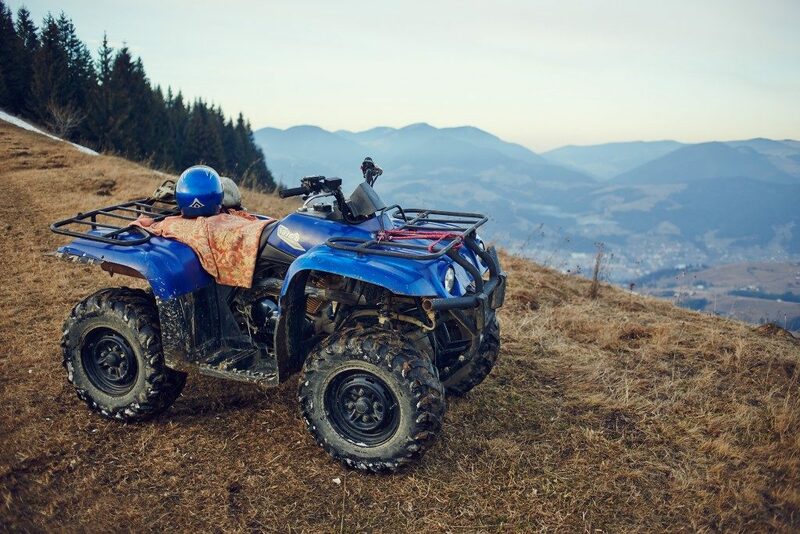 With the above implements available for it, you can guarantee there is a use for an ATV on your property regardless of your lifestyle. Thankfully, it also does not take a lot from your finances more so if you get a well-maintained used ATV.